Contest is over, finally we have winners: 1st Helmut Kuenne (F9), 2nd Sandor Laurinyecz (LS) and 3rd P Geza (GP9). Seems like Helmut become a "PW-5 King" here, very well done Helmut (and thank you for CompMan again)! Thanks to all pilots for joining us and special congratulation goes to winners! See you next time on another VirtualSoaring.eu competition. 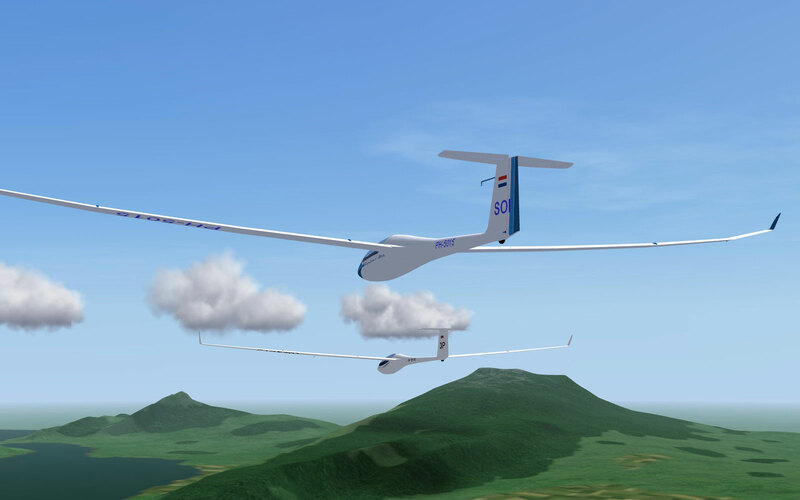 This competition is continued line of successful competitions like Christmas Minicup, Raven Competition, Praděd Gliding, Liberec Eighteens and Kiwi Race. Please - give your attention to rules! Will be need registration, server password will be published in briefing. After flight IGC file must be uploaded to this website. More informations about contest in competition rules.